Tropical rainforests are home to about half the species of plants and animals on Earth. The current extinction rate may be 1000-10,000 times the historic long-term level. Provides a home to approximately 1/3 of the world's plants and animals. Once lost, it is gone forever. Helps stabilize the world's climate by storing carbon, mitigating climate change, regulating rainfall and cycling pure water and air. The Amazon forest produces much of the rain south of the Amazon and east of the Andes. Provides resources for people including food, medicine, and recreation. Home to indigenous people and their unique cultures that live in balance with the natural world. The Kayapo have only been in contact with outside society since the 1960s and are still learning how to negotiate the new realities of a capitalist society. As the development frontier reaches the Kayapo, external support helps them understand and deal with modern society and empowers them to continue to protect their land against invasion by loggers, ranchers and miners. 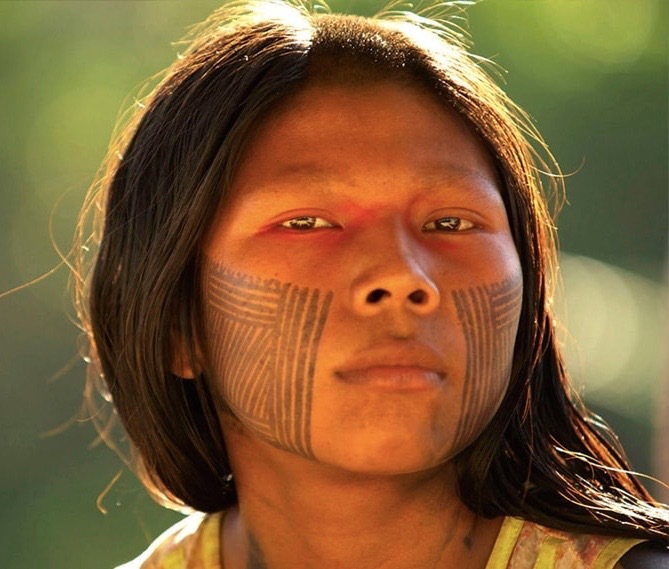 No conservation effort in the tropics has been more successful than that of the Kayapo Indians of Brazil. They’ve achieved more for the preservation of tropical forest than any other group or organizations on earth. They are the true guardians of the rainforest. 100% of funds donated will go directly to Kayapo rainforest preservation projects.